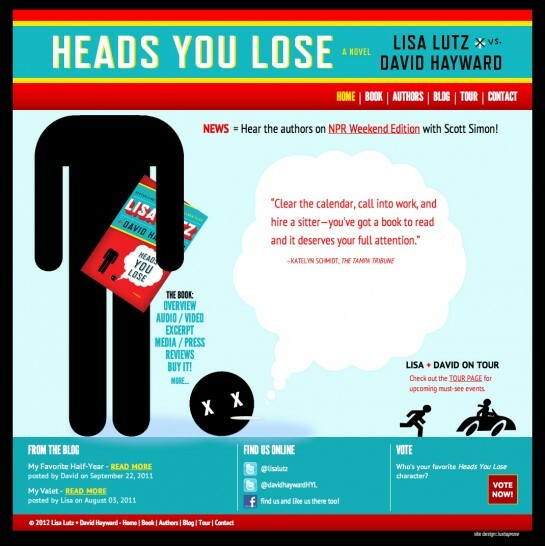 Heads You Lose, a novel by Lisa Lutz and David Hayward, is a humorous mystery (think Weeds meets Adaptation). In designing and building the site, we wanted show these qualities through both the design and the writing. Thus, the homepage features an animation (a head lost!) and throughout the site you can find fun interactive and design elements.